I had this Cuttlebug embossed die cut sitting on my desk for quite some time. 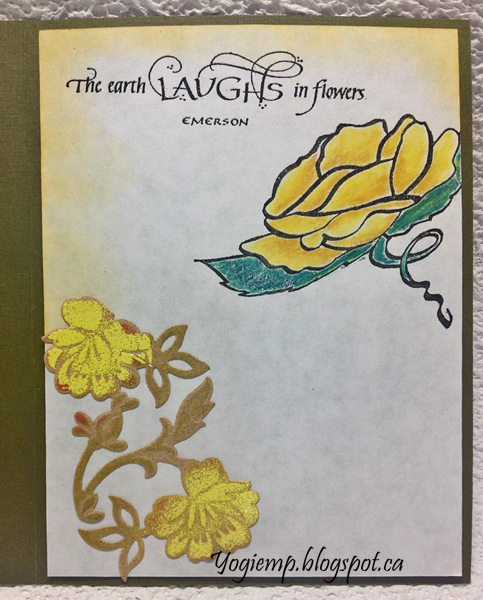 Had made it when I was working on another rose card and never got around to using it... So here it finally is! Gorgeous with the lace and your coloring of the roses. What a beautiful cut and emboss folder that is! Of course, I love the yellow, too. 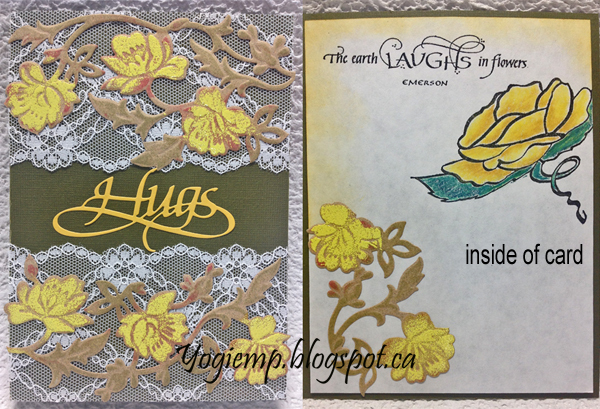 Fabulous make Yogi and the stamped quote is one of my faves. This is beautiful, Yogi. Great designed. 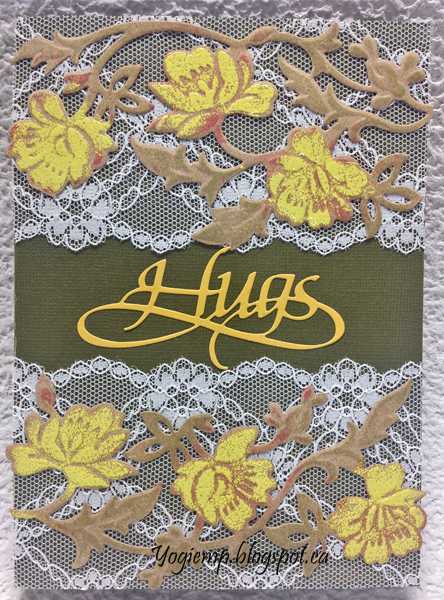 Love the lace you used on this card. The wide lace is an awesome background for the dies you chose.